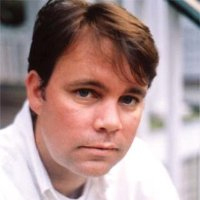 Jonathan Mackenzie is the Head of Data, Technology, and Innovation at Publicis Media APAC. Read on to find out why specialization is crucial in the advertising world, how his choice of movies may have influenced his childhood ambitions, and exactly how long he’d survive a zombie apocalypse. We asked him 27 questions. Here are his 27 answers. Weekday breakfasts have to be fast as we race to get the kids to school for 7.50am. They tend to consist of a homemade juice and vitamin supplements in an effort to stay healthy which I then ruin with an espresso. I recently watched “The Missing” — a UK series with James Nesbit about a child who goes missing. Harrowing but compelling. “Integrated planner” — in my opinion there is no such thing. Marketing in the modern world is too complicated to have generalists running client business. The industry as a whole needs to wake up to the fact that marketing and advertising needs specialists and lots of them. The quicker we rally around that and understand how to organize ourselves, the better. The future of programmatic ad buying is undoubtedly heading towards a “single view of the customer.” The ability to target an individual prospect holistically across devices is the “holy grail” of advertising, and the speed at which technology and automation are evolving makes this “holy grail” feel tantalizingly close. This is all hinged upon the quality of the data available and the ability to build single customer profiles from that data. I think advertisers will get fed up with being held to ransom by data vendors and frustrated by the lack of accessibility created by walled gardens — with the result that they will accelerate and innovate their own efforts to gather the data. This is even more important for B2B which typically focuses on much more niche and specialized audiences that are not easily identified by generic data segments or browsing behaviors. Red Notice. It’s a true story that reads like a thriller and tells the story of Bill Browder, an American financier, who spotted huge opportunities during the Russian privatization program after the break-up of the USSR and became the largest investor in Russia. Exposed to corruption at the highest level, he makes it a personal mission to fight the system. You won’t be able to put it down! If I have to choose one it’s Italy. In particular Tuscany and Umbria. Rural, picturesque, temperate climate, amazing food, incredible history and culture and fantastic colorful people. This one’s easy. It’s the technology. I started in digital advertising in 2000. I remember first discovering Google — it was the search engine the techies at the agency swore by and in those days you couldn’t even buy ads on it. Facebook wasn’t even a thing, which is showing my age! We used to run campaigns with first-party adserving, and setup and reporting took forever. Over 15 years the tech industry has exploded, and as a result the way of doing business has changed. I could get rather nostalgic here and complain that the personal side of the business has suffered, but honestly as a campaign executive in a digital agency in London in 2000, I can remember that launching, managing, reporting on and reconciling a campaign was a laborious pain in the arse. Today it is fast and furious. We can get to market quicker, harness better insights from better data, and optimize on the fly, making our clients investments work far harder. Publicis spotted the change back in 2008, launching Vivaki to accelerate digital capabilities across the Publicis Groupe. We were one of the first to launch their agency trading desk (AOD) in 2010, and most recently have established the Data, Technology and Innovation (DTI) practice to further strengthen our capabilities with a focus on our agency brands. DTI is backed up by a network of 700 specialists globally and is investing in specialist talent, proprietary tools, technology and partnerships. Not only that but we have invested in a bespoke online learning technology platform designed to upskill all of our staff, regardless of position or location. It marks a true commitment to the transformation of our own business as well as the business of our clients. Most recently, helping Zenith Singapore win the Singapore Tourism Board pitch. It was an awesome process — very quick and very fast but the team pulled together and the output was awesome. Raising three future citizens — work in progress. Without doubt the most demanding yet rewarding thing I’ve had to do. As my kids get older it’s their achievements that make me most proud. Social media has forced brands to become more honest. People’s ability to discuss and criticize brands has forced brands to live up to their promises and exposed many that can’t. Equally, the data generated in these environments gives advertisers the amazing potential to understand how to connect with their customers. Amazingly, after a decade, it’s something very few brands truly get right. It’s both! Advertising, like any other sector, is being disrupted by technology on so many levels. Consumer behaviors are changing so quickly these days. Look at TV — after its launch, the biggest innovation in TV was the launch of color in the mid-1950s. Then in 1999 we saw the shift of time and place with the launch of Tivo. Add in more screens with the emergence of smartphones and tablets. Chuck services like Netflix into the mix. Now add Snapchat and live services, such as Facebook Live, and you can see how much the pace of change has accelerated just in the last 15 or so years. I’ve talked already about the impact of tech, data and social media. These are big changes and it’s tough for any business to adapt quickly to such dramatic shifts. Challenging as it is, it’s not boring! The whole industry is in the midst of change, and it’s exciting and fun to be part of an ever-changing landscape. Content marketing is an evolution. All media is content, some has disguised itself as native content better than others, but consumers are increasingly savvy. So it’s important not to treat it too lightly. It has to add value. 14. You know three languages. How has this skill benefited you in business? Interesting question. I studied French and Italian at university, so in terms of spoken language this hasn’t been that helpful in Asia! That said, it has given me a much more international mindset and an increased empathy with other people’s culture and traditions. I like to think that this has helped me build relationships with people much more easily regardless of nationality or culture. Massively! Just think about the conversations we’re now having. They’re all about dynamic creative optimization, location based advertising, hypertargeting, multi-variant testing, viewability, DMPs, DSPs, attribution…it goes on. It’s as if we’ve been asleep for 100 years and just woken up. Everything today is built around data, and it is only going to get bigger, better, faster and stronger. It’s part of the disruption and why it feels so uncomfortable right now because there is an urgent need for an infrastructure and talent base that isn’t in place already, and so not readily accessible. Primarily for networking and talent searches as well as industry news and the opinion pieces. I did use it the other day for a bit of crude competitor research. 17. What is your top-secret superpower? Being able to hold a conversation while thinking about something else. It winds my wife up a lot. 18. Who should play you in the movie version of your life? Jason Statham (of “Lock, Stock and Two Smoking Barrells”)… a waiter in Danang actually asked if I was him. Hard to believe but a true story. 19. If you weren't at Publicis, what would you be doing? 20. What is your favorite cartoon character and why? Jessica Rabbit. Do I need to explain? Cucumbers. Hatred is probably a bit strong but I’m not a fan. For some reason, this is something that many people find very hard to accept. Goodfellas, True Romance, Scarface, The Godfather. There’s a theme here isn’t there? 33 hours 12 minutes and 6 seconds. 26. What jobs did you have as a youth and what lessons did you learn from them that you still put into practice today? Waiter – never leave a table empty handed. The British Lions Tour to New Zealand. That and lots of success for Publicis Media obviously.